Are you interested in getting, or just learning more about ear tattoos? Getting a tattoo on the ear or in the ear area isn't the most popular area for getting inked, but that doesn't mean you shouldn't look into it! Keep reading to learn more about ear tats and a few tips to figure out if the placement is right for you. Why Get A Tattoo There? The ear area can look very attractive with well done ink. The area can take on different 'feelings': it can be feminine or powerful or masculine all with a little change in the details. Ear tattoos are often small and, as a result, make a great tattoo for someone who wants just one. For someone not interested in piercings, but who wants a visible look, an ear piece can be just the right fit. Is My Ear Stretching Infected? Most ideas for ear tattoos are small. The area doesn't lend itself well to giant tattoos or highly intricate patterns. Tattoos that are placed physically on the ear are limited by the size of the ear itself. Tattoos that are placed near or around the ear are limited by space too, although not as strictly. If you are still interested in getting an ear tattoo, here are some design suggestions to think about. 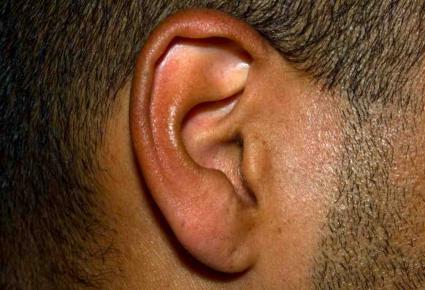 The ear has a unique and curvy shape. A tattoo that highlights this can be a comforting and subtle design. Consider getting some type of vine or wire pattern to compliment the shape of the ear itself. Another design that would work well is a combined pattern of Celtic knots. If you are interested in a simpler tattoo piece, consider getting a small shape on the earlobe itself. Tiny designs like an 'X' or the outline of a heart can complete the look. The area on the inside of the ear can accommodate certain patterns. If you are interested in bolder patterns, a gothic design or a ghoul would fit well and would also accommodate the shape of the ear. Stripes or other formulaic patterns can work well in this placement too. For some, a tattoo near the ear can be a painful experience. The area is highly sensitive for many people and can cause the jaw to lock or ear pain. It's also possible for some to experience headaches, migraines and dizzy spells due to the vibrations and sound. As with all tattoos, be sure to research your tattoo artist for his or her experience and ability prior to getting a tattoo near the ear. One of the more sensitive types of tattoos, it is of the utmost importance to find someone skilled. Also, because of the visibility of the area, it is important to make sure your artist can create stunning pieces since the tattoo cannot be easily hidden if flawed. 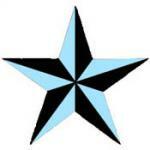 This type of tattoo is important to research and price. Due to the size of the area, it's important to make sure you are putting your money to good use. Don't be afraid to shop around for an artist and a parlor if you feel one location is charging too much. If you like the idea of an ear tattoo but still have some reservations about getting one, you can always try a applying a temporary tattoo or a small henna design. That way you can enjoy a little ear art until it fades away. Like any tattoo, if you want a tattoo in the ear area, the placement can be a fulfilling experience. However, without a properly experienced artist, the delightful tattoo experience can go sour. Be sure to do your research so that you end up with the best possible tattoo.